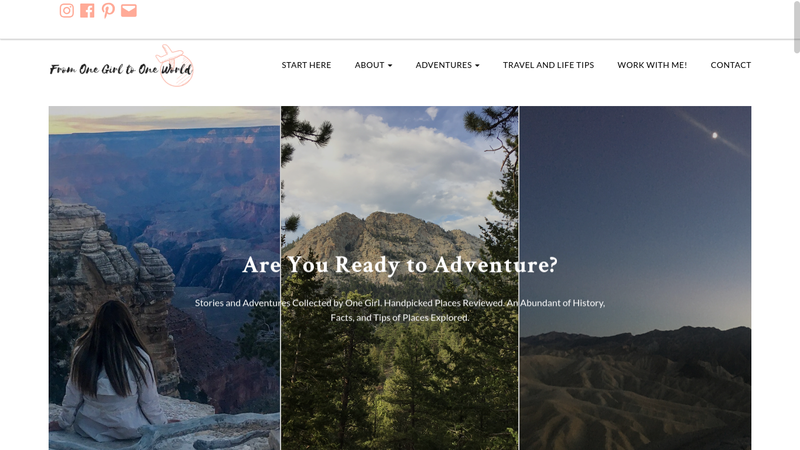 My blog, From One Girl to One World, displays a series of my adventure stories, photography, and travel tips. As you may have learned already, I am an avid explorer and traveler (doing these things in my free time). A hobby turned into an obsession, I love to educate others about places that I've traveled to and experiences I've tried by sharing my perspective to the history of these places to tips to keep in mind when visiting these places or trying these things. With my blog, I am able to express my creative writing, to enhance my research skills, connect with those in the travel community and with my curious audience, and pitch myself through public relations opportunities.